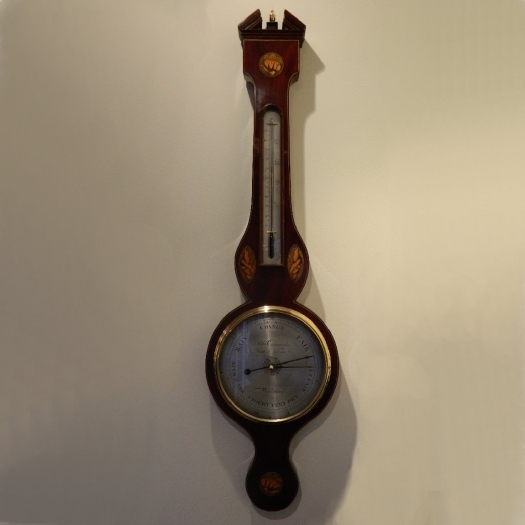 This is a lovely example of an early 19th Century barometer that has good colour and is in great condition. 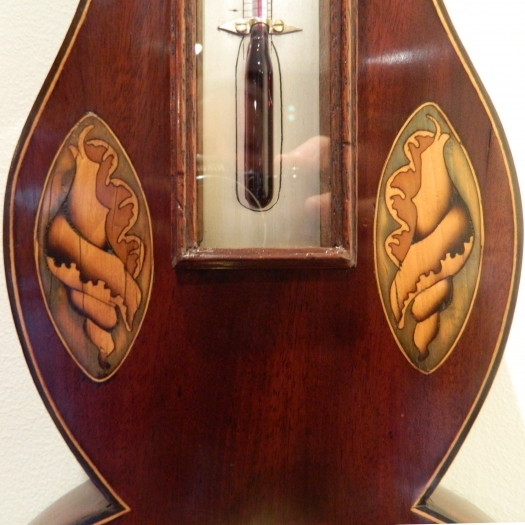 Having 2 dials (Thermometer & Barometer), the waisted mahogany case with ebony and boxwood stringing around the edge and shell design marquetry to the top, bottom and waisted sides. 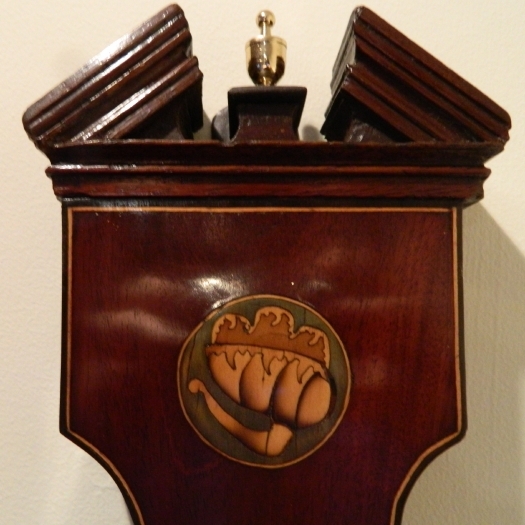 Having a rounded bottom and early style broken architectural top with mounding and polished brass urn, also a long, arch topped thermometer box with red spirit tube and silvered scale. 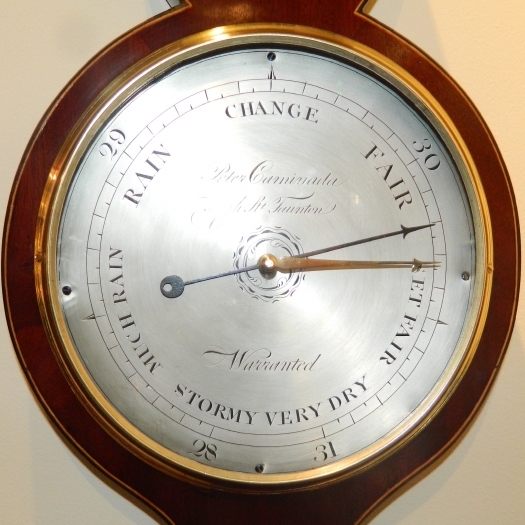 The eight inch diameter, silvered barometer dial with crisp engraving and plain arrow style setting and reading hands, signed with the maker's name: "Peter Caminada, High St. Taunton". The polished cast brass Sheraton style bezel has a flat glass with centre setting knob. Dimensions: 38" High x 10" wide.